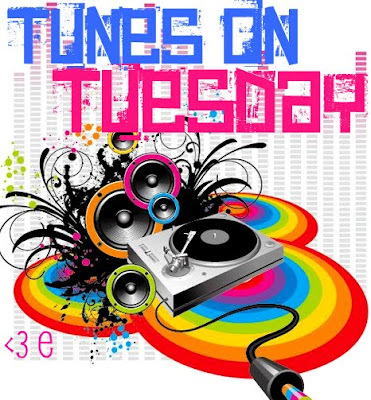 The one special thing about Tuesdays is that it means TUNES ON TUESDAY! I'm on a roll with these again, thank goodness! Let's get to it! This is the same girl with the "T-Shirt" song?! Interesting. It totally had me bumpin from the beginning, even if it's a pretty stupid song lyric-wise from what I can tell as of now. Woah. SO not what I was expecting. It doesn't show off his singing ability AT ALL. I know I've been a Glambert hater, but I totally expected him to come out with some bangers. This isn't terrible, it's just not as good as I expected. Uh oh. Ummm.... Hm. I don't hate this song. I just don't love it. It's kinda boring, I feel. This is a remake of the oldies classic, and it sounds pretty close to identical I feel. Meh, I guess that means it's good! I like the meaning and lyrics of this song, I just don't know how I feel about his voice. He's awfully nasally.. Hopefully I can warm up to it. This is fun and I enjoy it. The end. It's pretty country, but it's funny. It's not at all what you expect from the title, which makes the chorus even funnier the first time you hear it. Note to all people who say Country music is all about being depressed: False. I think there's more drinking songs than anything, and here's one more. He totally invented a new drink name and I love it. Yep. This is a good one. Love the lyrics, sound, beat, everything. Also! Don't forget Carrie Underwood's new album "Play On" is out today! I'm pumped!! Have fun listening! Make sure to do a dance or to naked in front of your mirror!